Unbeatable location. Just steps from famed Montana Avenue shopping and dining. 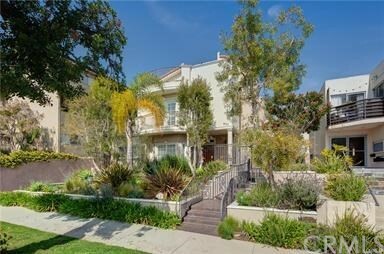 This 3 story townhome features 3 bedrooms and 2.5 bathrooms with bamboo flooring throughout. 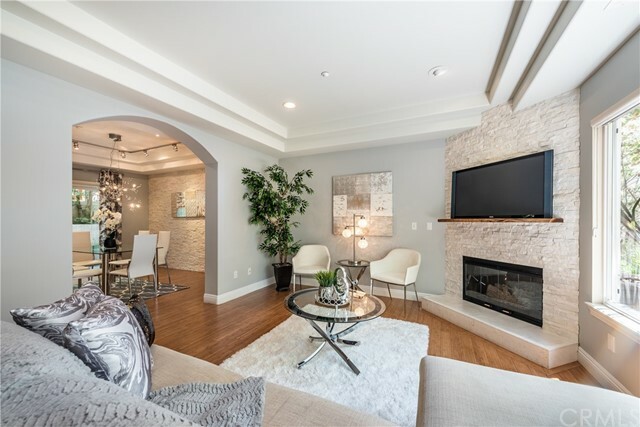 Townhome was remodeled in 2012 by a professional designer and the kitchen was completely redone in 2014 (per seller) Stainless steel appliances with a Viking stove. Spacious living and dining area complete with an updated stone fireplace. A nice patio/yard is located off of the dining area. There are two nice size bedrooms, one with a private deck. In addition there is a very spacious and luxurious master bedroom and bath. The master is complete with vaulted ceilings and private deck also complimented by a loft/office. There is a laundry room and a bonus room/Gym/music studio not included in the square footage on the lower level. ROOFTOP DECK W/ HOT TUB & SEATING AREA,. There's direct access to the home from your large private 2-car garage. The home also has a full security system. You don't want to miss this once in a lifetime opportunity to live in this coveted Santa Monica area. This will not last! Based on information from California Regional Multiple Listing Service, Inc. as of 7/11/2018 8:17:52 AM PDT and /or other sources. All data, including all measurements and calculations of area, is obtained from various sources and has not been, and will not be, verified by broker or MLS. All information should be independently reviewed and verified for accuracy. Properties may or may not be listed by the office/agent presenting the information.